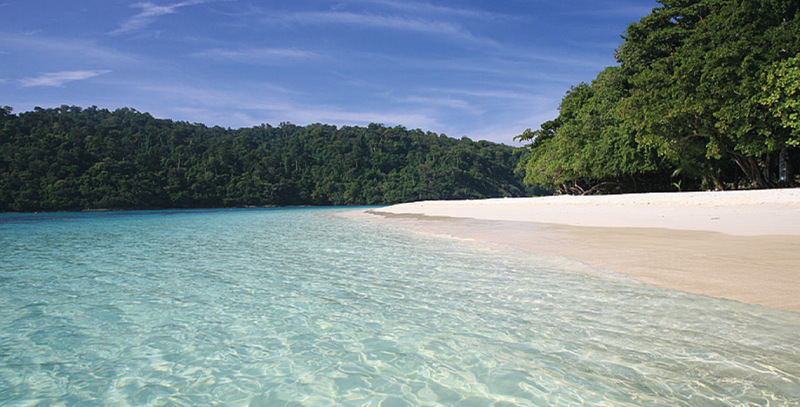 Even though Koh Lipe doesn’t offer any trekking, the much bigger island of Adang does and is located just a few hundred meters from Koh Lipe. 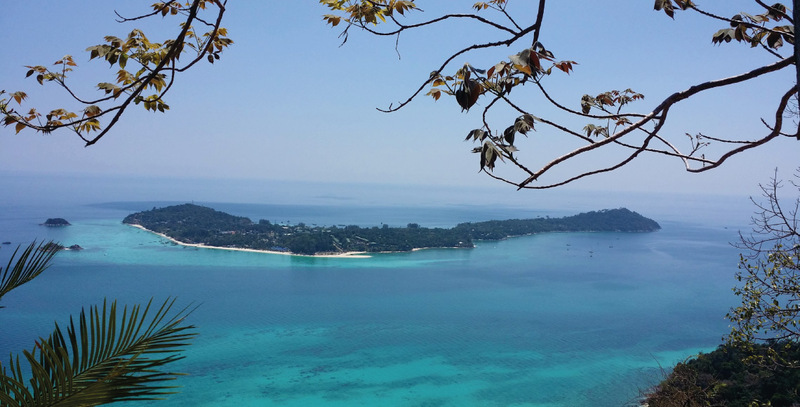 There are some small waterfalls and treks you can do from the beach facing Koh Lipe, but the most popular is the trek to the view point, from where you get a perfect view of Koh Lipe. Book a longtail boat from Sunrise beach for about 100THB per person. Remember to arrange with the captain when and where you want to be picked up again. When reaching the beach on Adang Island, walk to the right among the bungalows and you will soon find a sign that points to the path. If you cannot find the sign, there is a ranger station in the area where you can ask for directions. 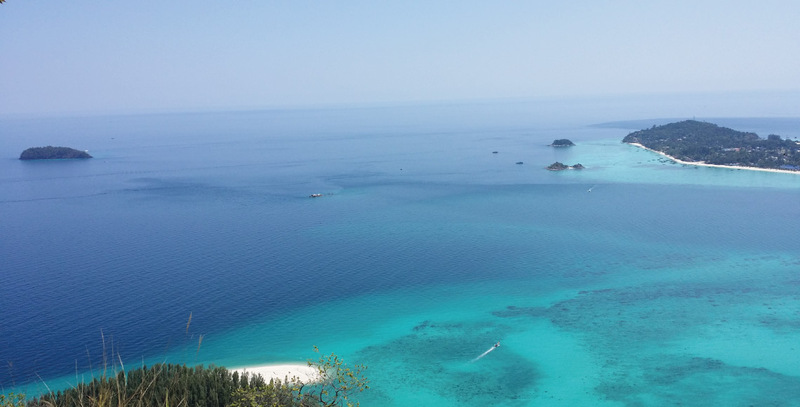 There are 3 stops on the way to the viewpoint, each providing an increasingly better view of Koh Lipe. Please note that it is not advisable to go trekking after it has just rained; the path can be slippery and dangerous. Anyone in good health can do this trek. The key is not to take your time, wear good shoes, and bring lots of water. Some parts of the path will be light jungle and others bare rocks. It is not recommended that anyone try to walk this path with bare feet or flip-flops. The trek can easily take 2 to 3 hours. There is no organized trips with a guide to the viewpoint so you need to do the organizing by yourself. 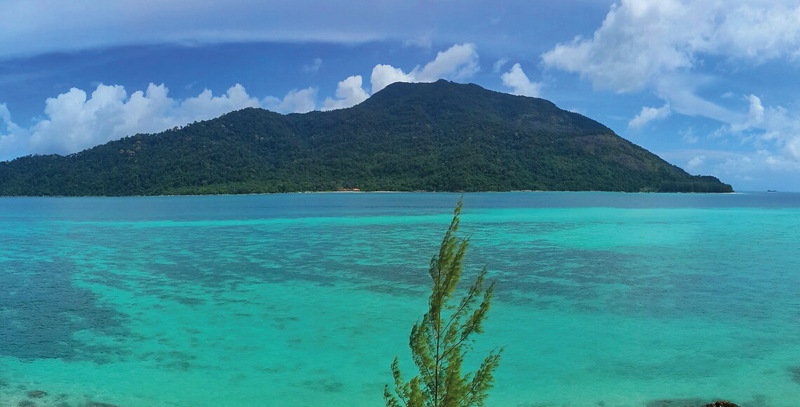 If you need to book a longtail boat, The Reef’s reception can help you, but it is much easier to go to Sunrise Beach and rent a boat on your own. Usually the captains of the longtail boats are in front of the school. The price is fixed and displayed on a sign on the beach in front of the school, but varies a bit from season to season. The park rangers will normally charge a fee for entering the national park. The fee changes a bit every year and depends on whether you are a Thai person or a foreigner. Contact reception for more information.